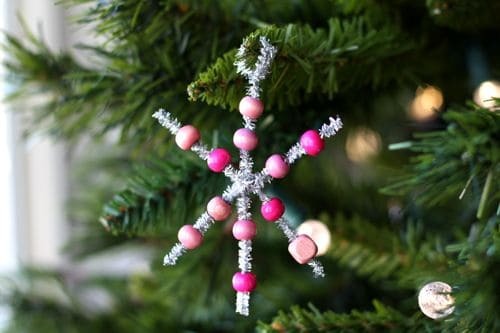 Make a beaded snowflake ornament to decorate for the holidays. 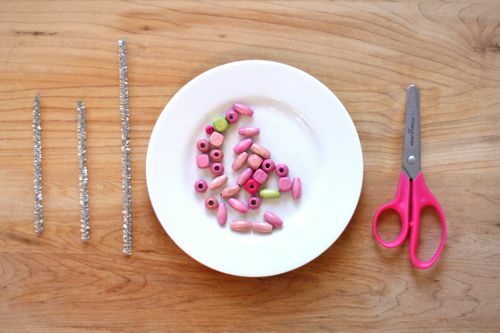 For supplies you need silver pipe cleaners, beads, and scissors. 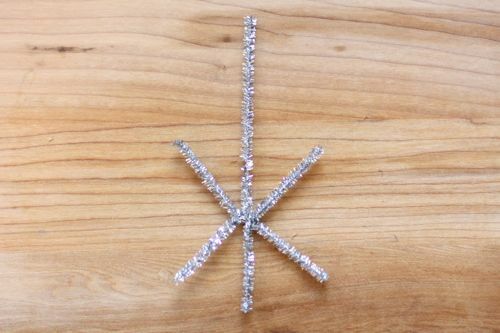 Use the scissors to cut the pipe cleaners into two four-inch lengths and one six-inch length. 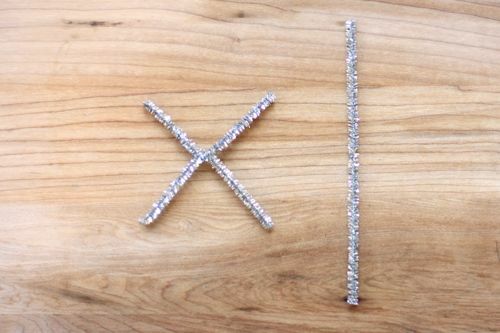 Join the two short pieces by twisting them into an X.
Wrap the longer pipe cleaner around the center, leaving one long end for the loop. Now put the beads on the pipe cleaners. 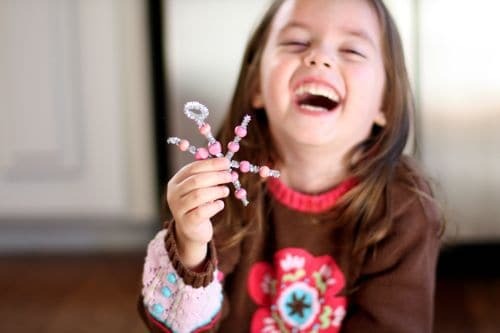 The beautiful thing about pipe cleaners is that beads stay on without requiring glue or knots. 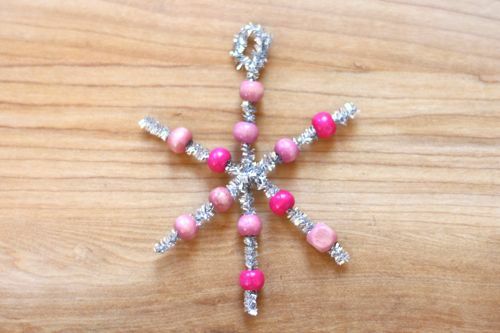 After all the beads are on, twist the long end into a loop to hang the ornament. Love it. 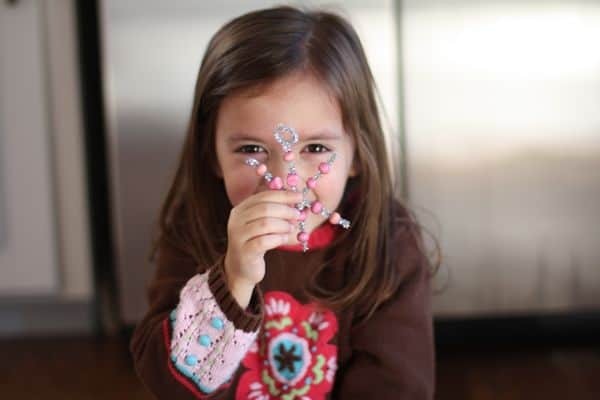 Such an easy craft for little hands but they can make as many as they like. 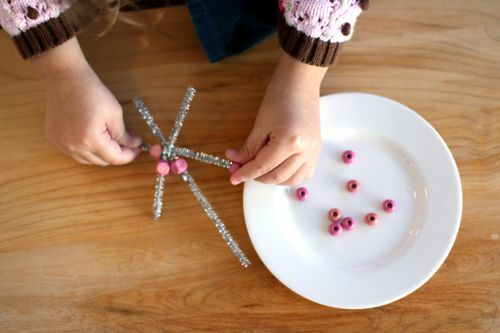 Create their own designs, twist the pipe cleaner into any shape, and add any combination of beads. Great idea for an easy prep craft on a cold day! thank you for posting! we tried it this morning just minutes after I read the entry! it was a great little activity with supplies that we already have!!!! thank you!